not sure if this link was ever posted, but i just came across it today. lot's of great pics of our bdh. TDTMF, thanks so much for the tip. Folks, these are the **best** pix I've seen out of Dragon*Con -- Firefly (clear, sharp pix of Jewel, Nathan and Adam) and other subjects. Great costume shots, too. Wicked! Looks like our BDH were having a GREAT time! 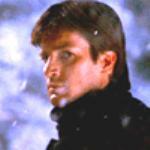 You know, there just aren't enough of Nathan though. Lots of Jewel, but not enough of Nathan or Adam either for that matter. Funny, huh? a Gold Star, and an "O" for Outstanding. Thank you for putting this together, and showing it to us. Wutzon: Umphry's McGee, "13 Days", from "Anchor Drops"
for some reason, I see text and buttons, but NO pictures on any of the pages...any idea waz'up? glad you like....but i can't take credit for putting it together. someone else did the fine work. i just wanted to make sure everyone saw it. not sure why you can't see the pics...others seem to be able to. "When one man chases a hare, he finds a hare. But when many men chase a hare, they find a dragon." --Source: The Darkness That Comes Before, by R. Scott Bakker. I was using IE for Mac....normally it doesn't give me any problems with graphics. Great pics. Thanks for sharing!